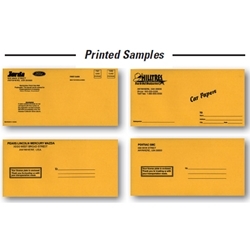 Heavy Duty Brown Kraft Envelopes. A perfect fit for any license plate! Return address is imprinted in the upper left corner.